«Con la costruzione della Torre Velasca e del Grattacielo Pirelli, attorno alla metà degli anni Cinquanta, s’inaugura la via milanese alla modernità architettonica. Ai nomi di Gio Ponti e dei BBPR si aggiungono, di lì a poco, quelli di Ignazio Gardella, Luigi Caccia Dominioni e Vico Magistretti, capifila di un gruppo di ottimi professionisti che, nel volgere di un decennio, realizzano abitazioni, uffici, impianti sportivi, parcheggi, dotando Milano delle strutture adeguate a una città dalle aspirazioni europee, oltre a renderla un museo a cielo aperto dell’architettura moderna. La costruzione della nuova Milano proseguirà, con uno slancio alimentato soprattutto dai comuni dell’hinterland e dalla dismissione delle ex aree industriali e dalla loro trasformazione in quartieri a vocazione residenziale, anche grazie al contributo di maestri quali Oscar Niemeyer, Vittorio Gregotti, Aldo Rossi, Guido Canella, Carlo Aymonino, Gino Valle e Gabetti & Isola. Alle loro opere si sono affiancate, nell’ultimo scorcio del secolo e con l’inizio del nuovo millennio, in un periodo di ripresa della febbre edilizia, quelle di architetti di fama internazionale come Ieoh Ming Pei, Zaha Hadid, Daniel Libeskind e Mario Botta, e di un gruppo di talenti italiani comprendente tra gli altri Renzo Piano, Cino Zucchi, Stefano Boeri e Mauro Galantino. Il volume ripercorre questa appassionante vicenda attraverso le schede critiche – illustrate con immagini realizzate per l’occasione – dei 160 edifici più significativi degli ultimi sessant’anni, segnalandone molti altri degni di nota. «In the mid-1950s, the construction of both the Velasca Tower and the Pirelli Tower heralded the arrival of Milanese architectural modernity. Over the following decade, architects such as Gio Ponti, and the members of BBPR, but also Ignazio Gardella , Luigi Caccia Dominioni and Vico Magistretti, formed part of a leading group designing housing, offices, sports facilities and parking lots, giving Milan its key built structures – adequate to a city with European aspirations – while also producing an open-air museum of modern architecture. 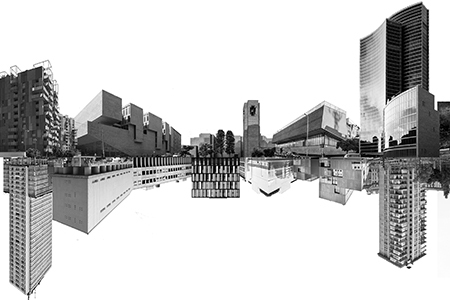 The construction of the new Milan then continued, especially in the city’s outskirts and in its former industrial areas, with inspired contributions by masters such as Oscar Niemeyer, Vittorio Gregotti, Aldo Rossi, Guido Canella, Carlo Aymonino, Gino Valle and Gabetti & Isola. At the turn of the century, through a period of “construction fever”, those works have been complemented with new buildings designed by internationally renowned architects including I. M. Pei, Zaha Hadid , Daniel Libeskind and Mario Botta, as well as Italian talents – Renzo Piano, Cino Zucchi Architetti, Stefano Boeri and Mauro Galantino. 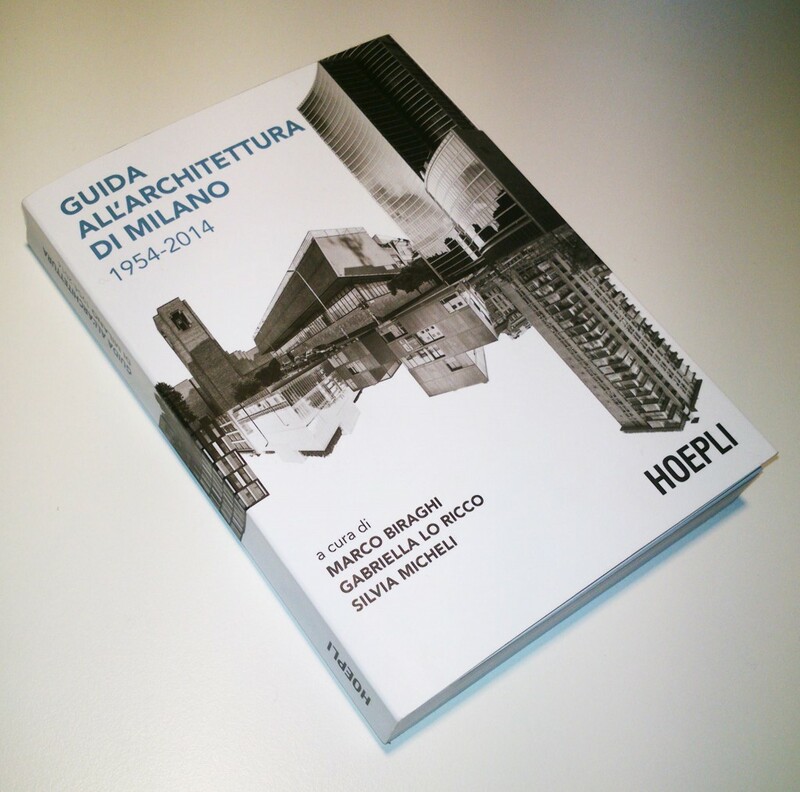 Providing both a history and a guide to the works of this exciting architectural period in Milan, the book gives coverage of 160 of the most significant buildings of the last sixty years, illustrated with present-day photographs. Posted in articles and tagged books, city, florencia andreola, gabriella lo ricco, guida all'architettura di milano, library, marco biraghi, milano, our books, piero bottoni, silvia micheli. Bookmark the permalink. I just want to mention I am beginner to blogging and seriously savored you’re blog site. Likely I’m likely to bookmark your blog . You amazingly have awesome article content. Thanks a lot for revealing your blog. Hiya, I’m really glad I have found this information. Today bloggers publish just about gossips and web and this is actually irritating. A good website with exciting content, this is what I need. Thank you for keeping this web site, I’ll be visiting it. Do you do newsletters? Can not find it. Zune and iPod: Maximum These compare the Zune to the Touch, yet following observing how skinny and surprisingly reduced and light-weight it is, I choose it in direction of be a really exclusive hybrid that combines traits of either the Contact and the Nano. It can be extremely colorful and magnificent OLED display is a bit more compact than the touch screen, but the participant by itself feels quite a bit more compact and lighter. It weighs about 2/3 as significantly, and is drastically lesser within just width and height, although getting particularly a hair thicker. I’ve been browsing on-line greater than three hours lately, but I never discovered any attention-grabbing article like yours. It¡¦s pretty worth enough for me. Personally, if all website owners and bloggers made good content material as you did, the internet might be a lot more useful than ever before. I really wanted to type a simple message in order to say thanks to you for some of the wonderful tactics you are giving at this site. My long internet lookup has at the end been recognized with excellent facts and strategies to write about with my good friends. I ‘d tell you that most of us site visitors are undoubtedly fortunate to exist in a superb community with many lovely people with helpful opinions. I feel pretty lucky to have encountered your website and look forward to so many more awesome minutes reading here. Thanks once more for everything. Some genuinely select blog posts on this internet site , saved to bookmarks . I must express my thanks to this writer for bailing me out of this type of difficulty. Right after researching throughout the the net and seeing techniques that were not beneficial, I figured my entire life was gone. Living without the approaches to the issues you’ve resolved through this short article is a crucial case, and those that might have badly damaged my entire career if I had not encountered your site. Your good knowledge and kindness in touching almost everything was vital. I am not sure what I would’ve done if I hadn’t discovered such a thing like this. I can also at this point look ahead to my future. Thank you very much for your reliable and amazing help. I will not think twice to endorse the blog to anybody who needs and wants counselling on this situation. This is having a little bit even further subjective, nonetheless I a lot prefer the Zune Sector. The interface is colourful, includes further flair, and some awesome options which include ‘Mixview’ that allow for by yourself quickly check out similar albums, audio, or other people identical in the direction of what you happen to be listening toward. Clicking upon a person of those will centre on that solution, and yet another fastened of “neighbors” will occur into check out, permitting yourself toward navigate close to investigating through very similar artists, new music, or buyers. Speaking of users, the Zune “Social” is furthermore great enjoyable, permitting you come across other folks with shared tastes and starting to be good friends with them. Yourself then can hear toward a playlist developed centered on an amalgamation of what all your good friends are listening in direction of, which is on top of that remarkable. Those people fearful with privateness will be relieved towards know on your own can reduce the community against seeing your personal listening patterns if on your own as a result determine. I was just searching for this information for a while. After six hours of continuous Googleing, finally I got it in your website. I wonder what’s the lack of Google strategy that do not rank this type of informative web sites in top of the list. Normally the top websites are full of garbage.